Andy Priaulx has won the prestigious British Racing Drivers’ Club (BRDC) Gold Star in 2010. The three-time World Touring Car Champion finished the BRDC points-scoring season a mere two points ahead of Red Bull Racing Formula 1 driver, Mark Webber. Coincidentally, Gordon Shedden beat Jason Plato to the BRDC Silver Star by the same points margin, highlighting how close the battle has been for two of the BRDC’s most distinguished awards in 2010. The Gold and Silver Star (the National equivalent of the Gold Star) points run from 01 November to 31 October. This has been the traditional cut-off date for decades, to ensure that the Gold Star winner could be determined in time for the BRDC’s Annual Awards in November/December. In the 1960s, in particular, there were Formula 1 races in South Africa in December, as well as races in the Tasman Series, which would miss the cut-off date and therefore count towards the following year. Andy Priaulx scored Gold Star points in 18 races, which included rounds of the World Touring Car Championship, a class 3rd in the American Le Mans Series at Sebring 12 hours, and a second place in V8 Supercars at Surfers Paradise in Australia. Mark Webber scored Gold Star points in 15 races, including last year’s Abu Dhabi Grand Prix on 01 November 2009. Had Mark finished in the top eight at the recent Korean Grand Prix – his final opportunity to score Gold Star points – he would have secured the BRDC Gold Star for 2010. This is the first time that a touring car driver has won the points-based BRDC Gold Star. However, it is possible that when F1 drivers also drove touring cars in the same season, particularly in the 1960s, that some of their points would have been scored in the touring car category. 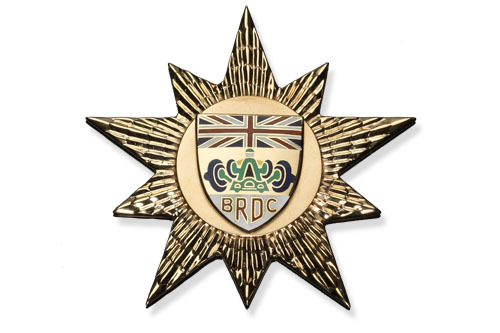 The BRDC Gold Star dates back to 1929. It is a unique award that is presented annually to the winner of the Gold Star Points Table, made up from results in international races. The Gold Star points scoring system pits the very best drivers from around the world against each other, regardless of what they are driving, or where they are racing. The BRDC Gold Star roll of honour is a ‘Who’s Who’ of the BRDC and international motor sport. Club tradition has it that a Member who wins the Formula One World Championship is also awarded a ‘Special’ Gold Star. With this in mind, fingers are crossed at the BRDC that Members Mark Webber, Lewis Hamilton or defending champion, Jenson Button may yet secure this coveted award. The Gold and Silver Stars will be presented to Andy Priaulx and Gordon Shedden at the 2010 BRDC Annual Awards, being held at The Savoy Hotel, London, on Monday 06 December.